If you have a business and you have a Facebook business page, congratulations! This is a vital step in ensuring your business is found when people search for your particular service or product. Just having a Facebook business page isn’t enough though. You need to make sure that your page is optimized. Here are a few tips to make sure that your Facebook page is working for you. The New York Times report is based on hundreds of pages of Facebook documents that show its system for tracking partnerships. Microsoft’s Bing search engine was allowed to view the names of Facebook users’ friends without consent and regardless of the users’ privacy settings. The Royal Bank of Canada, Spotify and Netflix were given the ability to read, write and delete users’ private messages. Netflix and Spotify spokespeople say the companies where unaware of such powers. A spokesperson for Royal Bank of Canada denies ever having such access. Amazon was given users’ names and contact information through the users’ friends. Yahoo was able to view streams of friends’ posts in the summer of 2018 despite assurances that it had previously stopped this practice. Amazon, Sony, Microsoft, and others could obtain users’ email addresses through friends. Facebook’s biggest partners had more access to user data than Cambridge Analytica did. This is just the latest Facebook privacy data scandal. In April 2018, Facebook founder and chief executive Mark Zuckerberg promised members of Congress in a public hearing that people “have complete control” over the information they share on Facebook. The NYT investigation also features interviews with about 50 former employees of Facebook and its partners, demonstrating that certain companies received data access that’s very different from the public rules it says it follows. Facebook might have also violated a 2011 consent agreement it made with the Federal Trade Commission in regard to sharing user data. While Facebook has never sold user data because it feared a backlash, internal documents show that the partnerships served a similar purpose by allowing certain companies access to the social network’s data in ways that helped Facebook grow. Zuckerberg began setting up data partnerships early in the company as a way of growing it and avoiding obsolescence that that plagued social media networks like MySpace and Friendster. Facebook employees said partnership decisions are handled at the highest level, frequently involving Zuckerberg and Chief Operating Officer Sheryl Sandberg. According to two former employees, in 2013 Facebook built a tool to handle the technical work of turning on and off special access because the number of partnerships had grown so large. Facebook has integrated contact lists from partners, including Chinese company Huawei. American intelligence officials have flagged Huawei as a security threat. The partnerships also enabled creation of a friend-suggestion tool called “People You May Know” in 2008. Gizmodo has reported cases of recommendations between a harasser and his victim and between patients of the same psychiatrist. Facebook’s Director of Privacy and Public Policy Steve Satterfield claims that the partnership agreements do not violate users’ privacy or the FTC agreement. It says its sharing deals were disclosed in its privacy policies starting in 2010. Facebook also says that there is no evidence of abuse by its partners. Facebook’s stock price has fallen as a result of yet another scandal. Some shareholders are calling for Zuckerberg to resign as chairman. Another group of shareholders have filed a lawsuit asserting that executives haven’t imposed sufficient privacy controls. Some users are calling for Facebook to be either nationalized or regulated like a public utility. Earlier this month a British parliamentary committee released internal Facebook emails seized during a lawsuit against Facebook. For more information, see 5 Key Takeaways from the NYT’s Facebook Data Sharing Investigation. A U.S. Senate report exposing the wide reach of the Russian disinformation campaign to influence the 2016 election said that its reach was far beyond Facebook, Google, search results and Twitter. The Senate’s report, which was put together by the University of Oxford’s Computational Propaganda Project and the social media analysis firm, Graphika, indicate that YouTube, Tumblr, Instagram, Google+ and PayPal were also used to spread propaganda and encourage divisiveness. Instagram, in particular, was used far more extensively than initial reports indicated to spread propaganda and lies. The research is the first thorough analysis of millions of social media posts, which came from material provided to the Senate Intelligence Committee by Facebook, Google, and Twitter. The report criticizes the lateness and lack of coordination by the tech companies in response to the crisis. It further states that the Internet Research Agency, a Russian propaganda group, used and adapted digital marketing techniques to target audiences across many channels, making the campaigns seem more legitimate. Russia was especially focusing on conservatives through posts on immigration, race and gun laws, though they also targeted centrist and liberal voters with different campaigns. The Senate also released a report by New Knowledge, a research firm, that highlights how Russia targeted African-Americans, both to stage protest rallies and to convince some that they should boycott the election. They also spread false information about the voting process to interfere while encouraging conservatives to be more confrontational. “What is clear is that all of the messaging clearly sought to benefit the Republican Party – and specifically Donald Trump,” said the report. Both reports show how the campaigns exploited and encouraged divisiveness in America. The New Knowledge report also details how one Russian troll farm encouraged U.S. secessionist movements in California and Texas. The report demonstrates how the tech companies could have noticed the interference earlier, such as the use of Russian currency to buy ads on topics relating to American gun laws. The reports also indicate that the Russian disinformation campaigns are still continuing and are currently working to erode trust in U.S. democratic institutions and investigative agencies. The IRA was indicted earlier this year along with 12 of its employees as part of Robert Mueller’s investigation into Russian interference in the 2016 election. Various news agencies have asked the Russian embassies in the U.S. and the UK for comment but have not received a response. More details on the reports can be found via CNN’s summary or from NPR’s coverage. Axios has also uploaded both reports if you want to read them in their entirety. 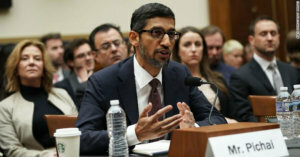 Despite previously refusing to send a representative to Congress earlier this year to answer questions for the investigation into election meddling, Google CEO Sundar Pichai finally appeared before lawmakers to answer questions on a variety of issues including potential political bias in search results and the company’s plans for a censored search app in China. The official title of the hearing was “Transparency & Accountability: Examining Google and Its Data Collection, Use and Filtering Practices.” Republican lawmakers have accused Google of being biased against and possibly stifling conservative viewpoints. Pichai denied that, insisting that Google’s search algorithm is impartial in regard to ideology and instead responds to what is relevant based on the user’s search history and geography. Pichai was also asked about Google plans for a censored search engine in China. Pichai denied that Google had any plans to launch search in China but this past summer The Intercept reported that it had obtained leaked documents on Project Dragonfly, which would be a search engine that would block search results for queries like “human rights” and “student protest” and link the users’ search queries to their personal phone numbers. Google employees have spoken out about the project, refuting Pichai’s denials of the project. More than 730 Google employees have recently signed an open letter demanding that the company cancel the project. Human rights groups have done the same. You can watch the C-SPAN video of Pichai’s testimony by clicking here. 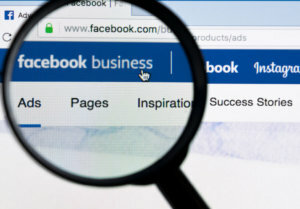 With search as one of the few Facebook locations without ads, allowing ads in primary search results and Marketplace search results makes sense, especially since businesses have been redirecting Facebook ad dollars to Instagram this year. Facebook previously tested search ads in 2012 but dropped it in 2013. Facebook declined to show screenshots of the ad test, saying that the design is still evolving. The ads will be repurposed News Feed ads with a deadline, image, copy text and link to an external website. Ads will have a “Sponsored” tag and must conform to the search results by topic. The test begins with a limited number of automotive and retail advertisers but will expand if the test goes well. Ads from this test will only be viewable by those in the United States and Canada. If the test goes well, Facebook is likely to roll out the option to more companies. Learn more in AdWeek’s article on the new ad placement. The Australian Competition and Consumer Commission (ACCC) issued a preliminary report making recommendations to curb Facebook and Google’s influence, to prevent abuse of power, and to change merger laws to guard smaller tech firms from being squeezed out of the marketplace. It also recommends more consumer browsing options. Australian Prime Minister Scott Morrison tasked the commission last year with analyzing the impact of tech platforms on the decline of advertising money to traditional media and the decline of journalism jobs. The ACCC report criticizes Google and Facebook’s lack of algorithm transparency and recommending a watchdog to prevent abuses of power. The Australian report is just the latest blow to major tech firms. A British Parliament member recently released a mass of internal Facebook documents that show that Facebook gave some third party candidates special access to user data without the users’ consent. The final report is due in May after a national election in Australia. YouTube has announced a new “ad pod” plan that shows two skippable pre-roll or mid-roll ads in a row, creating a TV-like experience. The new ad delivery system is being tested on desktop with a roll out to mobile and smart TVs to follow. YouTube’s research indicates that users react better to fewer ad breaks so combining multiple ads into a “pod” leads to less abandonment than one ad before the video and one in the middle. By switching to this delivery method, YouTube is hoping that viewers won’t abandon videos when an ad appears. Ad pods will be used based on the length of the video, not placed on every video. For more information, see Google’s official announcement. Quora, the site that allows people to crowdsource answers to their questions, confirmed that it had a data breach that affected as many as 100 million user accounts. The hackers gained access to user names, email addresses, passwords, usage history and data from linked social media accounts. Those who used Quora anonymously were not affected. Quora said it has contacted users that were affected. For more information on the breach, see the FAQ that Quora has set up to answer questions and concerns. 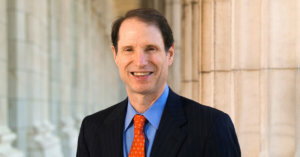 Senator Ron Wyden (D-Oregon) released a draft of federal privacy legislation he is proposing to match Europe’s General Data Protection Regulation (GDPR). Wyden’s Consumer Data Protection Act parallels GDPR in many ways, including imposing penalties of up to 4 percent of a company’s gross revenue or $20 million – whichever is greater. However, Wyden’s bill goes further than GDPR by also proposing a penalty of 10-20 years in jail for senior executives who break the proposed law. It also requires that a company’s algorithm be assessed for data processing in regard to fairness, accuracy, bias, privacy, discrimination, and security. 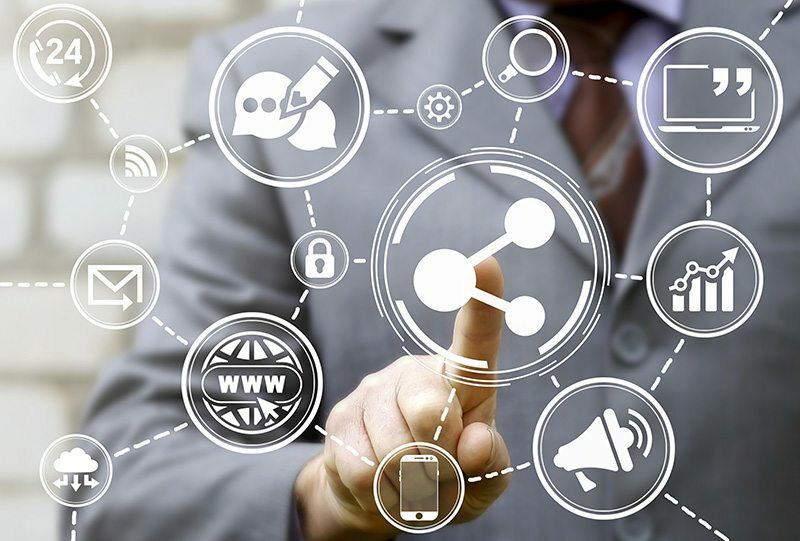 While consumers are concerned about data privacy, consumer data laws can impact businesses and the data they use for marketing and advertising targeting. Like GDPR, Wyden’s bill has strong penalties to force compliance. The bill would add 175 new staffers to help the Federal Trade Commission (FTC) enforce the new law and would provide consumers with a centralized Do Not Track list to opt out of data sharing between companies. Additionally, companies with more than $1 billion in revenue would be required to submit data compliance reports to the FTC on a regular basis. Mirroring GDPR, the public will have a clear system through which they can request, review, and challenge their data record. Read Senator Wyden’s full statement about the Consumer Data Protection Act and the proposed bill’s language. It also has an email address through which you can submit feedback on the bill. Google announced that it found another bug in its API for Google+ and as a result of the security vulnerability will close Google+ in April instead of the previously announced August 2019. While Google+ started out strong, interest in it gradually faded and with it, usage. Google has been gradually spinning off Google+ features as a result of the diminishment of the surface. This most recent bug affected 52.5 million users. The first bug that led to the original closing announcement was discovered by Google in March but not publicly announced until October, leading to complaints. Google discovered the second bug as part of a standard testing procedure and claims it was only open for six days – November 7-13. Google says there is no evidence that app developers discovered or misused the bug. Read Google’s official statement on the change of plans for closing Google+. YouTube is dropping the paywall from its Originals line of programming. Some programs will become ad-supported while the details are being determined and some will stay subscription based. Others may become available on Google Preferred, an advertising program that allows marketers to buy ads on YouTube’s best performing channels. YouTube launched more than 50 original shows in 2018. A YouTube spokesperson says they will continue to invest in scripted programming but sources told The Hollywood Reporter that the channel was already planning to scale back scripted programming in 2019. 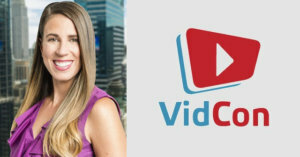 VidCon, the multi-genre online video conference, which is held annually in Southern California, has hired Sarah Tortoreti as its first vice-president of marketing to manage its promotional strategies worldwide. Tortoreti was the director of marketing and brand strategy for Viacom’s Nickelodeon since April 2016. Viacom acquired VidCon in early 2018 from veteran YouTube creators Hank Green and John Green. Tortoreti will oversee development and management of all aspects of the VidCon brand, including global marketing strategy, which also entails outreach to industry executives and creators for VidCon’s live events in the United States, the U.K. and Australia. Vidcon will present the first VidCon in London February 14-17, 2019 at ExCeL London. Variety has a more in-depth look at Tortoreti’s career and VidCon that can be viewed here. Between the implementation of GDPR and the backlash over the collection of personal data by tech giants, a number of European search engines are rising to promise user privacy. Europe has been increasingly concerned about Google’s dominance of internet searches, providing opportunities for search engines like Mojeek and Oscobo from Britain, Qwant from France, Swisscows, Startpage from The Netherlands, and Unbubble from Germany. A more detailed look at European alternatives to Google search can be found here. Facebook appears to be testing alerts for keyword mentions within Groups. Jane Manchun Wong, who is known as “the app whisperer” for her ability to reverse engineer apps and figure out what makes them popular, found the change. It could help Group owners, especially businesses, better monitor conversations. Keyword alerts would ensure that Group owners don’t miss relevant mentions. Facebook hasn’t officially commented on the feature but Wong posted a screenshot of the interface. While not news, The New Yorker did a very interesting profile of Google engineers Jeff Dean and Sanjay Ghemawat. Employees since 1999, the two solved a problem that could have choked Google’s growth long before it became the dominant search engine and rewrote code using knowledge gathered at the level of bits to make sweeping changes that sped up search results while ensuring system stability. By rewriting Google core code, Dean and Ghemawat expanded the system’s capacity by orders of magnitude and guaranteed that if a physical component failed, the system as a whole would be unaffected. Dean and Ghemawat’s work earned them a rarified place in Google’s history and hierarchy. Google engineers are ranked by level with Level 1’s being basic support staff and Level 2’s being fresh out of college. Level 8 engineers are associated with major projects. Level 9’s are known as “Distinguished Engineers” and Level 10’s are a “Google Fellow” and the world’s leading experts in their field. Dean and Ghemawat are the first and only Level 11’s and Google Senior Fellows. The insight to their unusual work process and how it impacts Google to this day is a fascinating read. The full profile is at the New Yorker website. It’s the most wonderful (and stressful) time of the year! 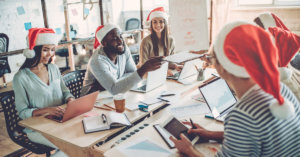 As businesses of all sizes gear up for the 2018 holiday season, it’s time to review your company’s social media strategy for the holiday season. What? Your business doesn’t have a plan? Don’t worry! It’s okay and it’s not too late to implement a social media plan. The social media elves at Efferent Media are here to deliver social strategies designed to bring in customers and grow your brand. What Is a Relevance Score & Why Is It Important? Facebook marketing campaigns are more complicated than advertised. 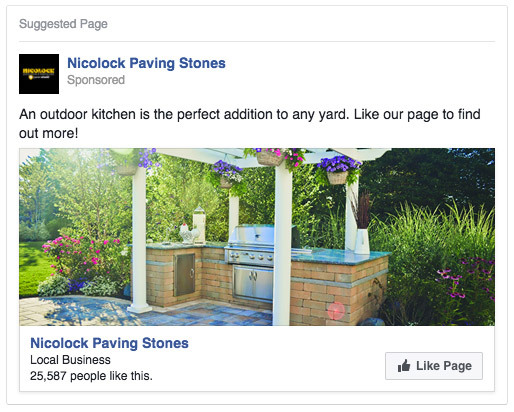 The plug-and-play interface in Facebook ads manager, which is designed to work without user intervention, makes running ads a quick and simple task, but understanding why or why not your ads are performing well is what makes or breaks a campaign. When it comes to running a successful marketing campaign, there are a few key metrics that you need to keep a close eye on. One of those metrics is relevance score. Your first question may be, what is a relevance score? It’s a good question, as relevance score is not as common a metric as reach or cost-per-click. Relevance score is a rating from 1 to 10 that estimates how well your target audience is responding to your ad. These scores are calculated based on the positive or negative feedback your ads receive from the audience you are targeting in your campaign. The more positive feedback, the higher the relevance score. Seems simple enough right? Wrong! Relevance score is easily defined, but not very easily fixed if your score is low. Fixing a low relevance score is another issue which we will revisit a bit later. It can lower the cost of reaching your target audience. The higher your relevance score, the less it will cost to be delivered. Facebook’s ad delivery system is designed to show the right content to the right people, so ads with a high relevance score are recognized by the Facebook as a positive signal. It can help advertisers when A/B testing ads. When setting up A/B testing for your ads. which is a comparison of two different ads, the relevance score will allow you to tell which version of the ad is responding best with the audience. Testing different combinations of image and copy with different audiences will give you different relevance scores. The ad with the best score is the one you should be moving forward with. It can also be an indicator of when an ad should be optimized. When you start to notice a dip in your relevance score, you may want to start optimizing your campaign as the decline of your score is a good indicator that the creative, or the target audience needs to be tweaked. Testing new creative and copy. It is possible that the supporting copy or headlines you are using are not resonating with the target audience. Try using different calls-to-action or more engaging supporting copy to try and raise your relevance score. If that does not work, you should check on the ad creative, which is the ad campaign as a whole. Do your images stand out? Do they invoke a thought or feeling in your audience? Evaluate your creative strategy and try something to new to help try and boost your relevance score. Tweak your target audience. If you make changes to your copy and creative with no luck in boosting your score, you may need to revert back to the roots of the campaign and tweak your audience. Make sure the audience you are targeting is not too specific or too broad. You may be reaching people who fit a similar demographic of who you wish to target but are not at all interested in the product or service you are targeting at them. This will result in negative feedback to your ad and a low relevance score. After optimizing the target audience to include Homeowners who ALSO showed buying behaviors in home improvement (Instead of just homeowners) we saw a spike in relevance score and dip in CPC. Now that relevance score has been defined and understood, you can see why it has become such an important metric when measuring the success of a Facebook marketing campaign. If you are seeing low relevance scores, try and make the necessary changes mentioned to help boost those scores. If you are having any other troubles with your social media advertising efforts, don’t hesitate turning to the professionals for help. Efferent Media would love to take a look at your campaigns and help take your business to the next level. Community Management has quickly become an integral part of fostering successful, long-term relationships with your customers and a wonderful marketing strategy. According to Forbes, a study done by Bain & Company, hows that increasing customer retention rates by just 5% through community management increases profit by 25% to 95%. In order for business growth to occur, you first need to establish a community through which your customers feel both heard and appreciated. Businesses are always looking for new customers, but should also be seeking to retain their current customers as well. The best way to achieve both of these goals is to develop engaged communities. Why was this community formed? It is important to first discover what is bringing your customers together. It is crucial ftothe success of your business to understand what your members are looking to gain from your community. The best way to do this is through interaction. The foundation of a community manager’s job is social listening. It is important to ask your customers questions such as how they first heard of the community, what made them join, how they’re liking current dynamics, and what things would they like to learn or benefit from by being a member. It is important to listen to the community members who have a lot to say. The most prominent opinions can point you in the direction of those who can be influencers and advocate for your brand. Other important voices are the ones that have been in the community the longest. These are the community members from whom you’ll gather the most insight in regard to how your business used to be, versus how it is now. This is important in order to retain your customers. 2. 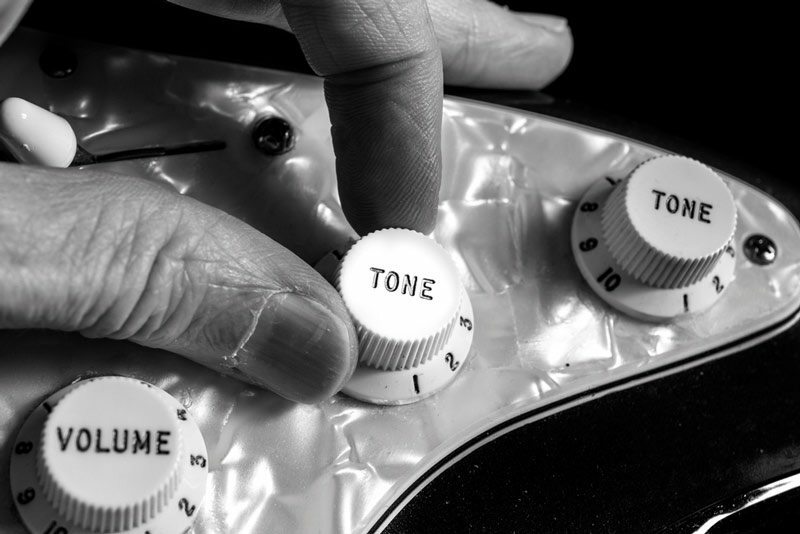 Find Your Tone and Voice. The next important step is placing yourself within your community. It is the role of a community manager to direct the tone and voice of your community. The tone should certainly reflect your company’s goals and values, but does not necessarily need to hold the tone of a corporate website. It is ok to let loose and have fun. You want your community to feel like they have a personal relationship with you and that they’re talking to a real person who understands their needs and concerns, not a robot. Relating to your community on a personal level will ensure long term success. 3. Find The Right Platforms. There are many different social media platforms to choose from, all of which have different capabilities, so it is all about figuring out which platforms are the best for the goals of your company. Once you understand the needs of your community, it will be easier to choose the platforms which you should integrate. Facebook is great for one on one, personal conversations. Instagram is practical for graphic heavy posts to display visual content to your customers. Twitter is ideal for sharing information quickly and encouraging back and forth conversation. At the end of the day, whichever platforms you choose for your business, it is very important to track your metrics which will show which platforms are working best and which content resonates most with your community! 4. Encourage Relationships Between Members. This is all about getting the conversations flowing between your community members. To be effective at this, you need to model the behavior you want others in your community to display. The main goal is to have your community members feel like they’re being acknowledged. This means always making sure you are available not only when they have positive things to say, but also responding to the negative. It is important when you see your community members helping each other out to acknowledge this as well. Even something as simple as “We love seeing our community sticking together” goes a long way. This reinforces the sense of community and will further assist in establishing connections. 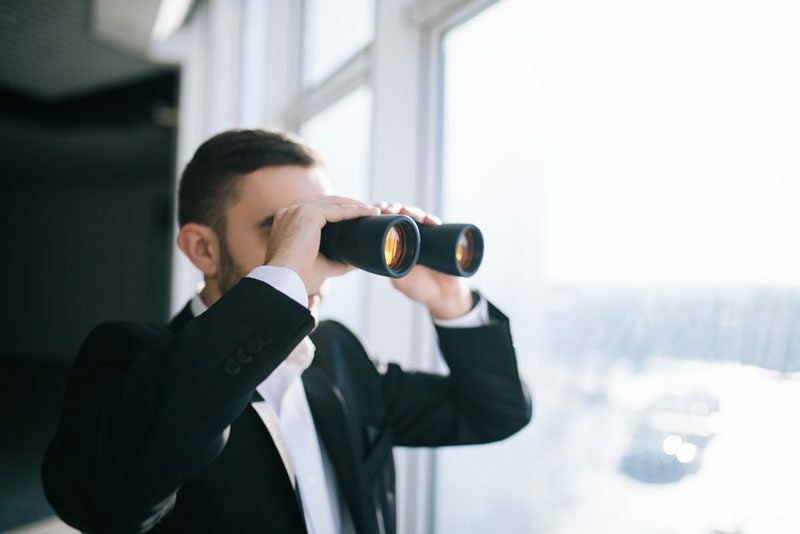 By always keeping a close eye on your competition, you’ll be better able to provide more resources to your community. To ensure you’re offering services that are unique, be sure to look at what you offer compared to what your competitors are offering. Watching your competitor’s communities can also be very beneficial in regard to finding new ideas for your own business. By paying attention to the things a competitor’s community says is not working for them, you will be able to stay a step ahead and implement a stronger community on your end. A community will flourish when community managers are engaged. Following these steps will help build a strong foundation for your business to succeed. By not only listening to, but responding to and appreciating what your community has to say, you will foster long term relationships and loyalty with your customers. Learn more about Efferent Media’s Community Management and how we can help build a community and foster long-term relationships with you and your customers. Are you not seeing the engagement numbers you’d hoped for after putting your business on Facebook? If you’re aiming to catapult your brand awareness and increase the likes, comments and shares on your page, attracting the attention of your target audiences can be difficult. One of the main goals of Facebook ads and content is to attract customers by getting the conversation started. Facebook is a platform where people go to be entertained, educated, and interact. By using thought-provoking questions that are current and industry relevant, your fans are going to want to chime in. For example, let’s say you’re a fitness based business. You should be asking questions about your Facebook community. What types of workouts do they like? When do they exercise? (Morning, afternoon or night?) Which nutritional supplements do they recommend? Do they have a “go to” cardio machine? Don’t be afraid to get personal. Your page should be an open portal for communication and your community should see tips not only from you, but from your fans as well. In the social media world, timing is everything. This is why it’s so important to stay on top of the latest trends. 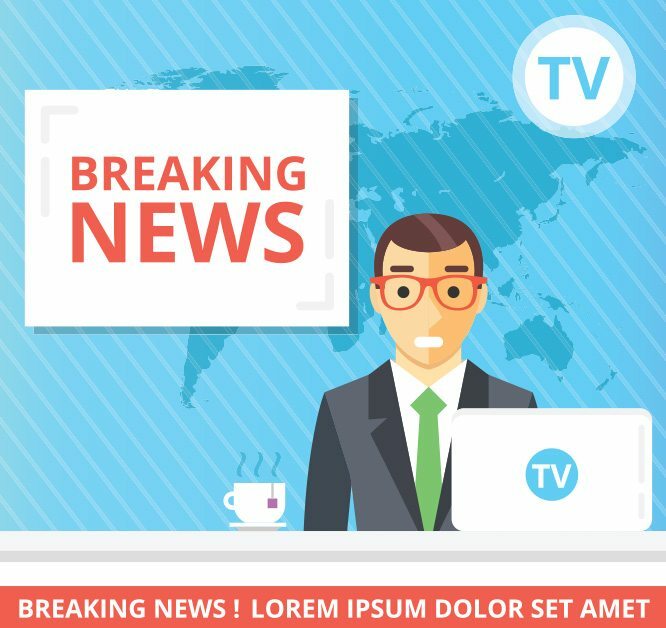 Have you seen a hot news story pop up that could be beneficial for your Facebook fans to know about? Did you post about it? These are the questions we ask ourselves every day at Efferent Media and you should be asking at your business. If there’s an increasingly popular news story, video, article or post that gives insight into your field, your fans are going to want to see it. Not only should you post on the topic, but sharing your expert opinion is the best way to get a conversation going. Don’t forget Facebook is an online community and your community has opinions they would love to share. No matter what business you’re in, you have the knowledge and expertise to be an informational resource to your fans. Be transparent with your content and give your audience bundles of useful information. By doing this, you will become a trustworthy, authoritative source. If you went to the Facebook page of Beauty Company X and you didn’t see any posts about the benefits of their products or questions for their fans, would you really be inclined to like their page or engage? You boost engagement by posting informative content. Start featuring how-to videos, product tutorial videos, DIY videos, and useful tips that hold high value in your sphere. Videos have shown to be some of the most successful posts in the last 3 years. 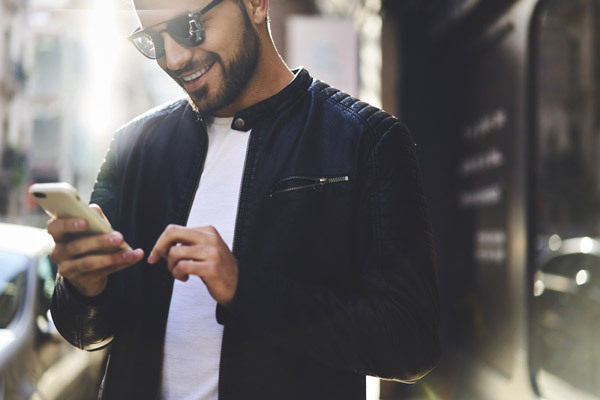 It’s no wonder “92% of mobile video consumers share videos with others” and ”after watching a video, 64% of users are more likely to buy a product online” according to a report found on hubspot.com. In fact, social videos generate about 1,200% more shares than pictures and image combined, according to Slideshare! We know this sounds scary. Why would you share other people’s content on your own Facebook page? The real question to ask yourself is — why not? Many marketers tend to avoid sharing content for no good reason. They’re missing out on a huge opportunity for growth and engagement. In reality, any interesting, relevant content is an easy way to get the attention of industry leaders.“Sharing the love” shows that you’re focused on your fans and not solely posting for your own financial benefits. Additionally, on social media, sharing others’ content often leads to them reciprocate by sharing yours as well. If you give a little, you’ll often get a lot back in return. Creating a monthly or weekly content calendar of posts and ad content will help save time and make sure your posts are going out at the optimal time for engagement. Through Facebook Insights, you can find the most popular days and times your community is browsing the social media site. By using this data as a baseline for scheduling your posts, you should see an increase in activity on your page. After this, perform A/B testing with some of the other popular times and adjust appropriately. Within a couple of months, you should be able to find an ideal time. Although, this is always subject to change as you gain more fans. It is best practice to keep track of your insights and adjust throughout the year. Need help boosting your engagement on social media? Efferent Media’s social media staff are experts and can help your community and customer base grow. Contact us today. You’ve spent years building your email list, but the open rate just isn’t as high as it used to be. What happened? The quick answer is over saturation. Snapchat has gone from that “inappropriate sexting app” to one of the most engaging apps of 2016. It is fair to say you’ve heard about Snapchat, but probably aren’t doing anything about it at this time for your business. There’s a lot of talk happening around the app, but many of us are failing to understand what it is all about. In fact, the Snapchat secret I am about to tell you about is only a secret because nobody is taking action once they hear it.